Ok.. 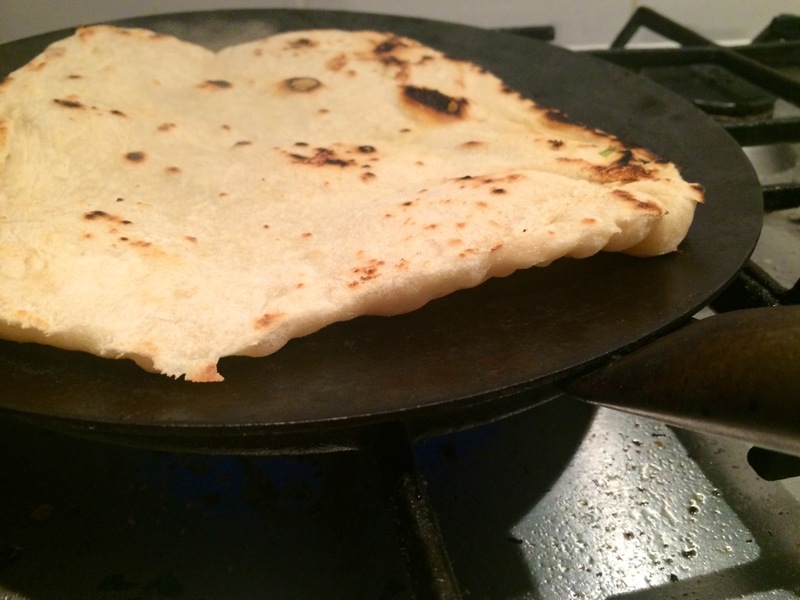 So I seem to be eating a lot of these flatbreads recently? Well not a lot just quite often! This was a piece left over where I had experimented with no olive oil and a few pinches of yeast.. Man it rose! So to use it up best bet is that wrap that I was gonna have for breakfast until the bubble and squeak took over! 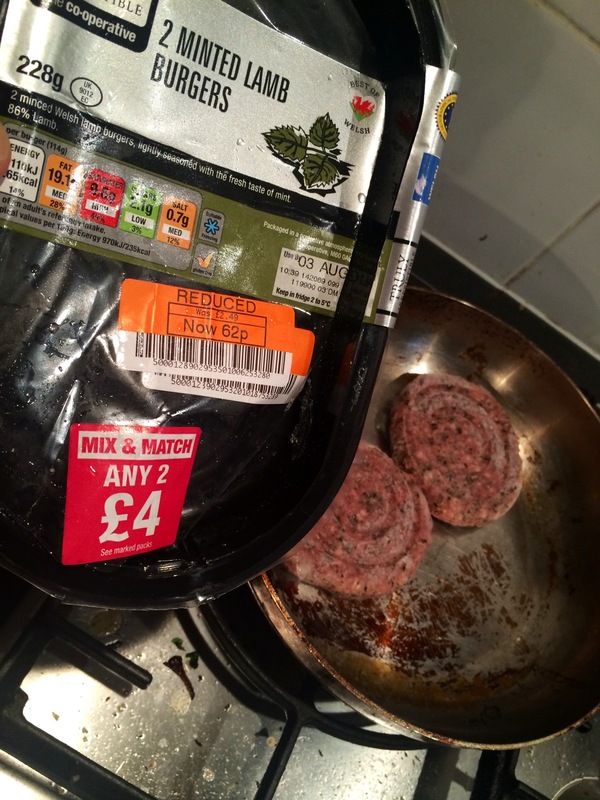 In the house freezer there was sat the perfect meat ‘side’ .. A couple of mites lamb burgers bought on an orange ticket.. 62pence! That’s like thirty one pence each?? Good meat also! Simply fried off chopped and added to spring onion, frizzy lettuce and chopped tomatoes.. A splash of Paul newmans French dressing to add some extra flavour..
Maggis Indian hot and sweet ketchup onto the bread.. Salad on top.. I am loving these flatbreads .. Loving them.. Will pop them over to fiesta friday and see how the party is going ! ‹ Bubble and squeak yay! 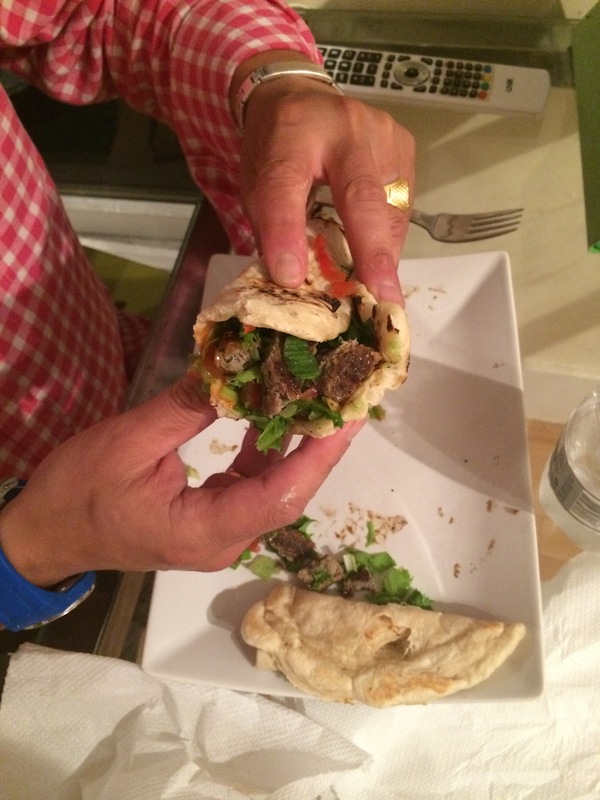 You’re a real pro with the flat bread now! 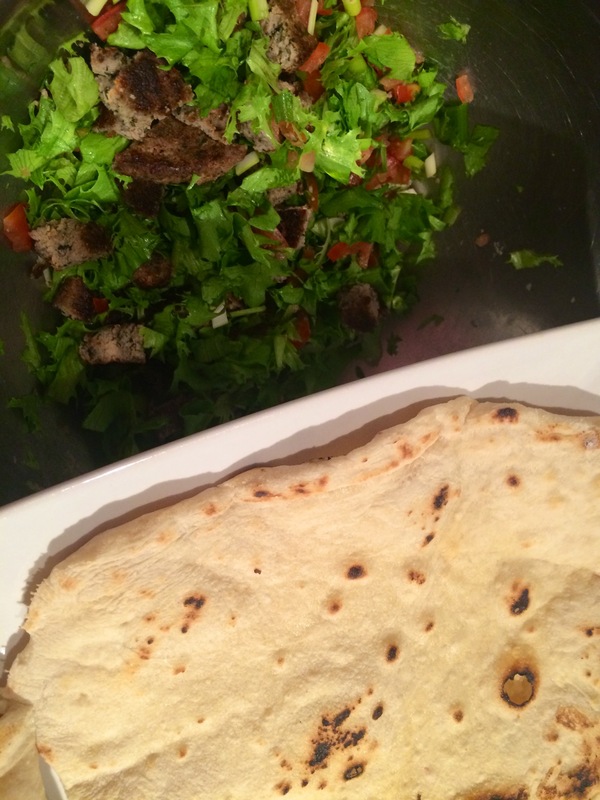 I need to practise more, mine aren’t as pretty looking… But when I can make decent flat bread, I’ll make lamb wraps like yours! Thanks for bringing these to Fiesta Friday too! Thanks! Just go for it !